Setting up a Laptop can be easy for some people, for others it’s a nightmare or maybe you simply don’t have time to do it yourself. Making it so that you get the most out of a new laptop is easy, all you need to do is get us to set that laptop up for you, and you can rest assured that you’ll get every feature you could possibly get. We can get that New Laptop Setup, and make sure Windows is configured correctly and add all your family members as users if required. If you have an existing internet connection, We can set up your laptop on the internet too. You pay for an expensive laptop so why shouldn’t you be able to get the most out of it? We’re there to give you exactly that, and we will work hard to achieve that for you. 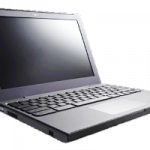 The In-home Laptop install service is usually available same day or next day. We aim to please, and getting you setup as quickly as possible is all part of the service that we offer. Being able to come to your home and do the setup for you is just one of the great things that we offer, it’s all part of the way we like to do business. As a special offer, the above service is available if you book a Wireless Network Set-up to be done at the same time. Now hows that for a time saver? It’s a very popular service, as people love getting a good deal. Printer, webcam, software etc can be installed at the same time. We can even make a set of recovery disks whilst onsite so you can recover from a problem fast. It’s just another part of our looking after the customer service, we want you to be as ready as you can be, should you ever have an issue with your laptop. We’re only a quick phone call away, so why not give us a call now and we can come to you, and get your New Laptop Setup in Hervey Bay now.